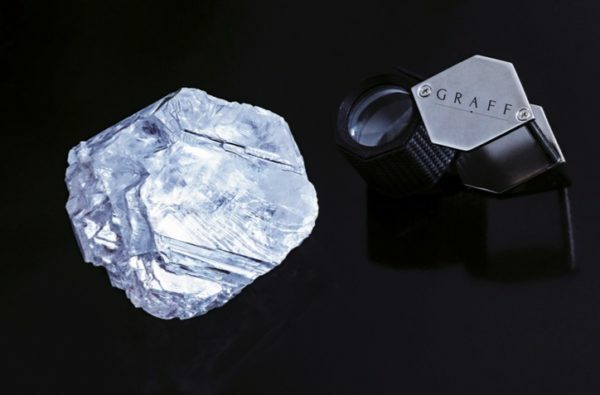 Graff, which has cut and polished the majority of the 20 largest diamonds discovered this century, reveals the principal diamond cut and polished from the 1,109 carat Lesedi La Rona rough diamond. Weighing 302.37 carats, the polished diamond, which has been named the Graff Lesedi La Rona, is the largest square emerald cut diamond in the world, and the largest highest colour, highest clarity diamond ever graded by the Gemological Institute of America (GIA), making it one of the greatest diamond achievements in history. Found at the Lucara Karowe mine in Botswana, the 1,109 carat rough diamond was the largest gem quality rough diamond discovered in over 100 years and the second largest ever found. “There is a huge amount of good fortune involved in unearthing a rough diamond of this extraordinary beauty and importance. Laurence Graff analysed the Lesedi La Rona rough diamond, and saw a square emerald cut diamond like no other on earth hidden within its depths. Year after year can go by… month after month can pass… with nothing… then you get lucky,” says Laurence Graff of the discovery. The record-breaking stone was given the name Lesedi La Rona, which means “Our Light” in Tswana, the official language of Botswana. 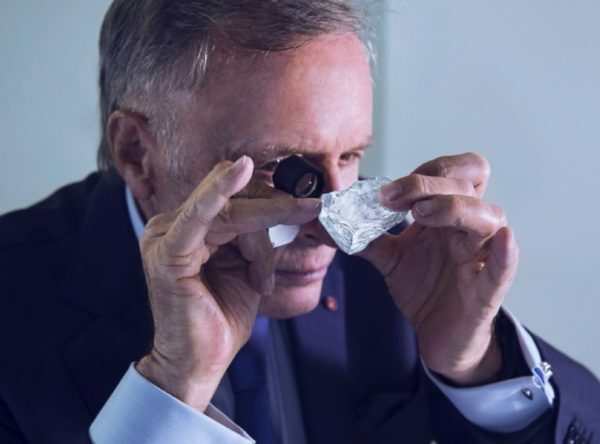 Laurence Graff was confident that buying the 1,109 carat Lesedi La Rona rough diamond would result in sensational polished gems, as he had already purchased a 373 carat rough diamond in May 2016 which was believed to have come from the same rough stone. Already familiar with the properties of this 373 carat diamond, he could predict how the Lesedi La Rona might behave similarly for his polishers. 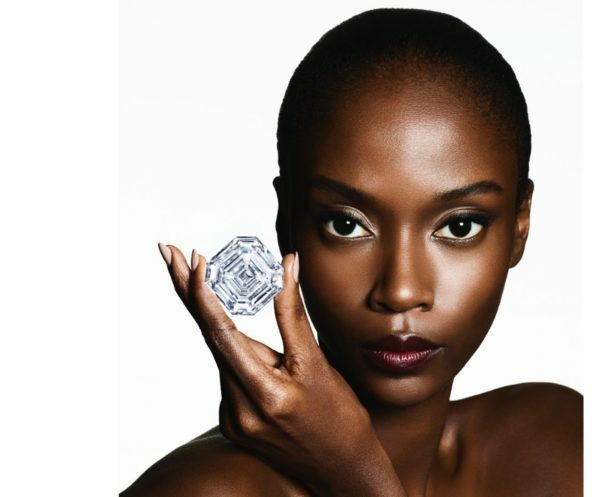 Even with the experience gained from polishing the 373 carat diamond, the Lesedi La Rona presented a unique challenge to Graff’s expert gemmologists. They had never analysed a stone of such a prodigious size, which was too large for the existing equipment. A scanner had to be custom built specifically for the Lesedi La Rona with brand new imaging software capable of probing its vast expanses. Using the highly sophisticated new technology, Graff’s gemmologists explored deep within the diamond, mapping the maze of imperfections and using this information to plot which cuts would yield the largest and highest clarity diamonds possible. the extraordinary expertise surrounding the transformation of this historic rough stone, Laurence Graff was convinced that this exceptionally rare weight could be achieved, and from that moment onwards, the challenge was set. After many months of analysis, a plan was put in place for the cutting and polishing of the Lesedi La Rona that was so precise there was absolutely no room for error. a complex crystal with subtle nuances that only reveal themselves once the process begins. 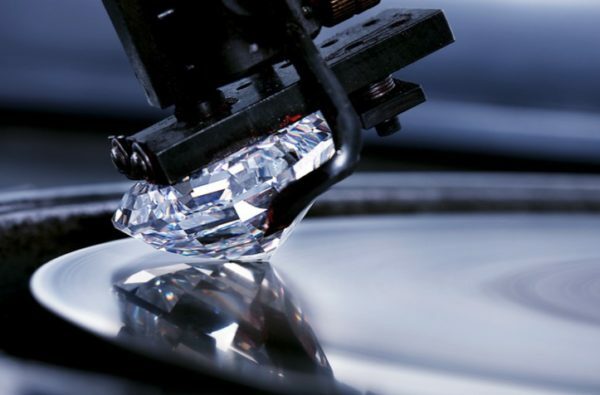 It was impossible to predict how long each stage – the initial cutting with precise lasers, followed by the shaping and faceting by Graff’s highly skilled diamond artisans – would take. Progress depended on the will of the diamond. It took hundreds of hours to polish the table facet – the largest facet at the top of the diamond – alone. By the time the final finessing of the diamond’s facets had taken place, more than 18 months had elapsed and the diamond had passed through the hands of a highly skilled team of gemmologists and master craftsmen sharing decades of experience. 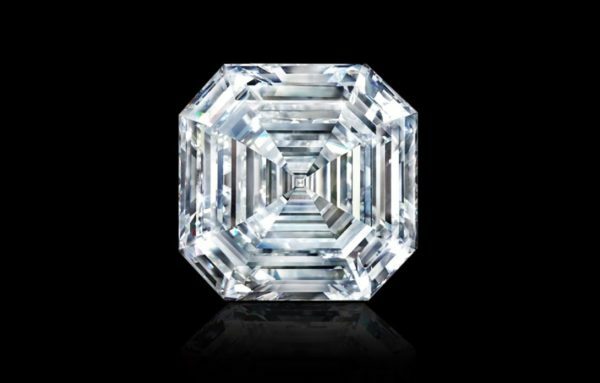 Upon sending this masterpiece of technical audacity and diamond artistry to the GIA for certification, it was confirmed that Laurence Graff’s challenge had not only been met, but exceeded. The 302.37 carat Graff Lesedi La Rona. Photography by Donald Woodrow.